The Wall Street Journal test kitchen recently reviewed bread machines. This is of great interest to me for two reasons. The first reason is that I had no idea that the Wall Street Journal has a test kitchen. The second reason is that I was very interested in what they had to say about my beloved Zojirushi. The instruction manual was hard to follow, and mastering the options took a little more know-how than other machines. And why so pricey? Interesting. Am I alone in thinking that the machine is very simple to operate? Let me know if I’m wrong about that and I can do some tutorials. Also, I find the machine to be a little work horse. I make 99% of our bread with my Zo. I don’t know that other machines could stand up to the constant use while consistently turning out great bread. Dependability really holds value to me. I think my Zojirushi is totally worth the price. Just bought the same machine and have only made one loaf, but so far love and and I do not consider it complicated at all! I bought a Zo, used it once or twice a week for a bit over a year. It was noisy, vibrated, and never worked correctly. It finally failed completely, probably due to a faulty bread pan or motor or belts, and I got absolutely no help or support from the company. A new bread pan is $100 retail. There aren’t many places that do repairs. After months of intense discussions, it was returned to the company I bought it from but I paid the shipping both ways ($80). As far as I’m concerned, this is an overpriced and over-hyped piece of junk backed by an astonishing level of customer no-service. I cannot recommend it or the company that manufacturers it. Zelda, I’m so sorry you had such a bad experience. I think the lesson that we can learn this is that if a machine doesn’t work, take it back ASAP. That will save a lot of heartache. Obviously my experiences with the machine have been much different. My machine works flawlessly. I did have to buy a new bread pan recently, but I bought one on Amazon for about $60. I think the machines do a great job. I agree with you. Mine worked for a while and then it started making a lopsided loaf – I tried buying new paddles – still the same problem. The nearest repair shop is 3 hours drive away. I, too, would be lost without my Zojirushi…if only I could get my son to buy his own for his family, my bread-life would be perfect! We are pretty basic people who prefer pretty basic bread…so I don’t take advantage of the bells and whistles, (although I did make the most outstanding strawberry jam we’ve ever tasted in it) but I don’t know anywhere else that can even come close to the quality of the loaf after loaf I bake. I so agree. I was without a bread machine for a few weeks this summer. (I needed a new pan for the machine.) I didn’t like the bread from the grocery store. The hamburger buns were the worst. I won’t ever buy them again. I have had my Zojirushi bread machine for so long that they didn’t even offer the horizontal pans! I have been using mine since 1994. I love it. Recently my husband and I talked about getting a new one. Because we realize we probably can’t get a new pan for our 18 year old machine any more. Yesterday I used the dough cycle to make a wonderful rye bread. I also make pizza dough with it, and even english muffins. Zojirushi is great, and I would NEVER get anything else! We thoroughly researched our investment back in 1994, and were very happy. I love my new Zojirushi. I got the 1 lb one (HAC, I think) because I didn’t want bigger loaves of bread and also because of the machine’s weight and handle. I can easily move it to the counter and then put away in a cabinet. The manual was excellent in machine usage, cleaning, photographs, descriptions, recipes, and it came with a cd, too. Once I put the ingredients in and start it, it is quiet, doesn’t get too hot and the bread is great. Only thing is that I wish I could use more recipes or more bread machine mixes but difficult to find a lot of recipes for the smaller machine. The screen for this comment is acting up so will close for now. The machine also is very quiet, doesn’t jiggle, and ger and is very quiet. 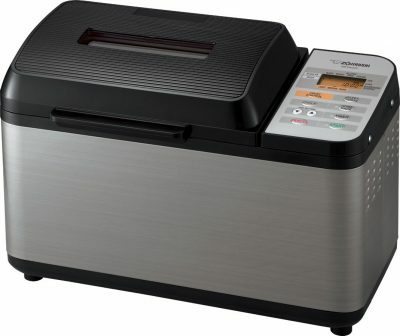 I also have the small Zojirushi bread machine – 4 years old now and working perfectly. 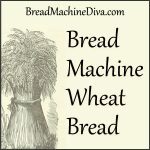 I recommend Donna Rathmell German’s books -The Bread Machine Cookbook which comes in several volumes. She gives proportions for 3 different loaf sizes, and I use the small loaf size with good results. I love her garlic parmesan bread, and have a loaf baking as I write. My comment is messed up because of the comment line acting up. The machine doesn’t get real hot and a breeze to use. Hi Nowu – Sorry that the site was acting up. Your comments came through just fine though. Tanks for sharing your experience with everyone. You ask why a article reviewing products would possibly be biased? Uhmmm… they are selling some products and not others. I too have a Zojirushi and it costs more for the same reasons an apple computer product costs more. Design, construction quality, durability, functionality. I do enjoy the comments of your readers. I’m an old guy (71) living alone with no baking experience unless you count frozen pot pies. Bread making intrigued me so I purchased a Cuisinart 200 and WOW, what fun. I see that most of your friends have a “Zo” but Cuisinart products have been “good to me” so I’m loyal. My machine turns out a perfect product time after time by carefully measuring out the ingredients. It has 16 settings including cake, jam and others I have yet to use. Running at the moment is a coconut pineapple “concoction” that is somewhere between a cake and a bread. I deviated from the ingredient list a bit so we shall see what the “surprise” will be. Enough from me. Simply put, a bread machine is so much fun that everyone should have one and the bread is soooooooo good. I’ve had my “Zo” for about 8 mos. as I was looking for a good quality one to make wheat bread. I’ve been “through” several different bread machines, like Oster, Breadman, Panasonic, even a Black & Decker, (which outlasted all the other ones!) But I couldn’t make decent wheat bread in any of them. Finally when my Black & Decker broke, I was checking out other machines on line to see what people were saying. I struggled with which one to get it was between the Cuisinart and the “Zo”. I’m sure the Cuisinart would of been fine too. I’ve found with just the little time I’ve had mine that quality is sure a big decision on what to get. 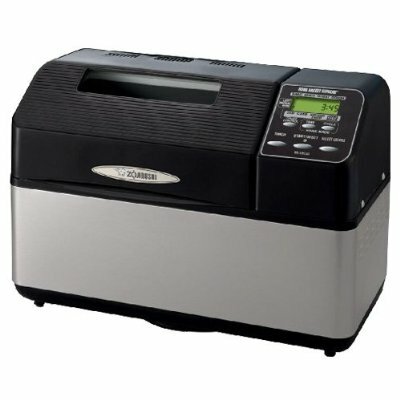 If you are a person who only uses the bread machine 2 times a month or less, then a cheaper one is fine but if your using it a lot then a better quality one is the way to go. I definitely can tell the difference with the “Zo” and the other ones I’ve had. So to me it was worth spending the money for a decent bread machine. “If you are a person who only uses the bread machine 2 times a month or less, then a cheaper one is fine but if your using it a lot then a better quality one is the way to go.” That’s a great rule of thumb. I am considering purchasing this bread maker. One thing that I find curious, after downloading the pdf manual and reading the basics on it, is there seems to be no mention of what temperature the water should be when added to the baking pan. Is this taken care of by the preheating cycle? Or did I just miss that instruction? The Oster that I currently have mentions that the water temp should be in a specified range. Hi Dave, I think that the preheat cycle takes care of the water temperature. I usually just put in warm water out of the tap. Zo is thre only way to go. I have 15 machines at 3 different locations. I buy my flour from a bakery in 50 lb. bags. In Florida I go thru 500 lbs. in 6 months. I think I know what I speak. 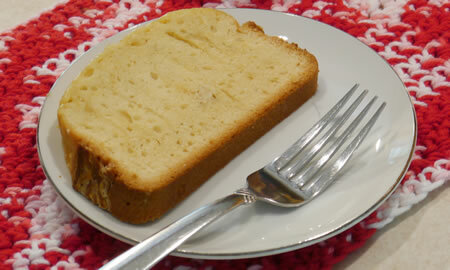 The fruit bread recipes can be adapted to any fruit you would like to use. (fresh , dried) Pans are expensive. If the blades stick get a small brush to remove the particles inside the holes. Thanks for the tip on how to clean the holes in the blades. I always thought there must have been a better way to do that. I also put olive oil on the posts before I place them in, and they come out easy every time. I love my ZO….never let’s me down. I also own their rice cooker (yellow shaped like a spaceship). Their customer service is the best. Their well informed, patient and friendly!!!!!! Not just for the warranty time of the machine…their always a phone call away. Thanks for bringing this up. I hope to experiment with gluten-free breads this year. However at this point, I haven’t had any experience with them yet. The Zojirushi Bread Machines are the best. We loved their rice cookers already and after trying Oster (god awful) Panasonic (eh) decided on the zojirushi. Had it 2 years now and have never looked back. we bought ours on zojirushibreadmachine.net was a little spendy but we found with bread machines, you get what you pay for. Just our 2 cents =) We are currently making loaves of Zucchini Bread! YUM! Karl, I hope you like your new Zo. I got a Virtuoso recently and love it. I’ve found so many uses for my machine that I use it three or four times a week. Found this string while searching for a new bread recipe. Had to chuckle when I saw the post from the gal with her 1994 model Zo. I win – 1990! Actually bought it IN Japan when our family lived at the airbase in Misawa. We all had them because you couldn’t buy “American” bread in town and the stuff they shipped in from the states tasted like it was already a week old. We became quite a proficient community of bakers! For whatever reason, although I walk by it 100 times a day, my little Zo has been sitting quietly on the counter for 5+ years – until yesterday. Plugged her in, (25 year old) lithium battery powered up accurate time on the clock and we were off and running. Washed all the parts, dug out my recipe stash and soon the kitchen was filled with that delicious aroma of baking bread. It let out a few creaks and moans as it started up, but so do I first thing in the morning. She hadn’t forgotten how to do her job and I’m glad I’ve brought her out of “retirement”. As long as she keeps running like a top (have never had to repair / replace anything) she’ll retain her revered place on the counter, and if she falters, I’ll do what I can to put her back together before she sees a dumpster. Gotta take care of your friends! Kelly, Thanks so much for writing. I love the story about your classic Zo. I’ve actually got a new one now. But they’re great machines. Mine didn’t last as long as yours, but I did use it multiple times a week. I really do make ALL our bread, dinner rolls and hamburger buns. 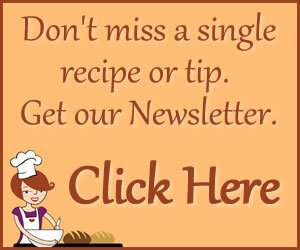 We also use it for pizza dough, pepperoni rolls and all the other things you see on the blog. I was looking for bread recipes when I saw 1990. I too, was stationed in Misawa,Japan. I bought my Zorijushi bread maker and it’s still working 25 years later. I worked in the hospital lab and my hours were crazy. I would set the timer on the bread maker and it would finish baking when I came through the front door. Delicious aroma and taste. My daughter just bought me a Zojirushi Virtuoso from Amazon which runs on 110 Volts. I live in Malaysia where electricity supply from electrical sockets is between 220 and 240 Volts AC. Please advise what I must do (precautions-wise) in addition to making sure I use an adaptor or transformer. Congratulations on your new bread machine! I’m not sure what to tell you about the electrical socket situation though. I’m sorry, but I don’t have any experience in that. Thank you so much for your prompt response, Martha. I am an old broad (82) who loves to cook, but a little arthritis makes it uncomfortable to stand in the kitchen for long so I thought a bread machine might be just the ticket. I asked Santa for the mini Zo and have baked a loaf a day since Christmas! What a great machine! So easy to use and clear instructions. 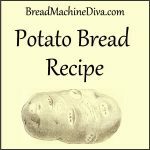 It has been fun to try many different recipes from the manual and I also purchased Bread Machine Magic by Linda Rehberg and Lois Conway, which has recipes in 3 different sizes. I alternate making sandwich bread with sweet breads, our favorite being chocolate. Now I regret not asking for the larger machine as there is never enough to share with friends, in the Hawaiian tradition.I learned that my friend’s cousin has 5 machines going to supply friends. 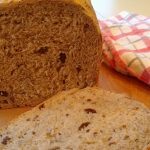 I am still looking for a good recipe for multi grain/seed bread. Can you help? The Man of the House is resistant to all forms of wheaty/grainy breads. So sadly I don’t have a recipe for you.